Governor Mike Sonko has challenged City Hall to ensure that Nairobi is not flooded when the rains come. Sonko has directed the County Government departments of Transport and Environment to unclog the city’s drainage systems before the start of the long rains. In a statement, Sonko ordered the Department of Transport to ensure that all the faulty drainage systems are repaired before the rains, while the Department of Environment has been tasked with unclogging areas. 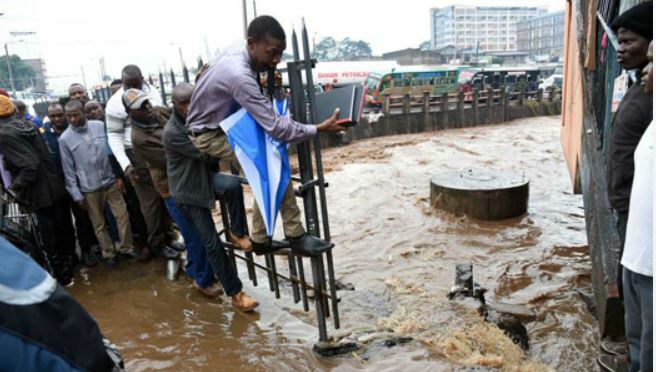 “We do not want to see Nairobi flooding whenever it rains. All the department concerned must now start working to ensure we have a functional drainage system,” said Sonko over the weekend. The County boss further urged his officers at City Hall to ensure that all the waste along roads, walkways, open fields and in the estates is collected. “This should be done weekly to maintain a clean and functional drainage system,” he said. He has also called for regular slashing of grass and frequent maintenance of street lights in Nairobi. “These public and private places where grass is left to grow make safe havens for mosquitoes and other preys. Major streets, especially in informal settlements, should be given priority,” said Sonko.